I haven't had a good scare since 2005, at least not at the hands of Resident Evil. While it may not be another six years until the lurching infected, man or dog, scare the pants off me, Capcom does seem hesitant to make any short-term promises about the series once famous for making people jump. It seems clear that for the immediate future, the series that once had players counting bullets in their head and creeping through seemingly empty mansions, is evolving into something more akin to Call of Duty than Silent Hill. When Resident Evil 5 hit in 2009 it was a game more about killing than surviving. Bullets and weapons were in ample supply, scares weren't. With the upcoming release of Resident Evil: Operation Raccoon City the game appears makes a complete jump into action, delivering a title that has players working with up to three others to revisit the events of previous games, this time as the bad guys. I asked Masachika Kawata, the game's producer, if this slow creep from survival to action was a deliberate evolution of the entire franchise. "Operation Raccoon City is certainly much more focused on action than any other Resident Evil," Kawata said. "But the situation and the setting is still Raccoon City. This is a very, very terrifying outbreak situation. You will still have some of those scary situations. We just implement and get that to users in different ways. "I don't think you can say for sure that Resident Evil moving forward will be more and more action focused. There are a lot of different directions and themes we are exploring." Kawata pointed out that Resident Evil: Revelations, set for a release on the 3DS, is not an action-focused game. 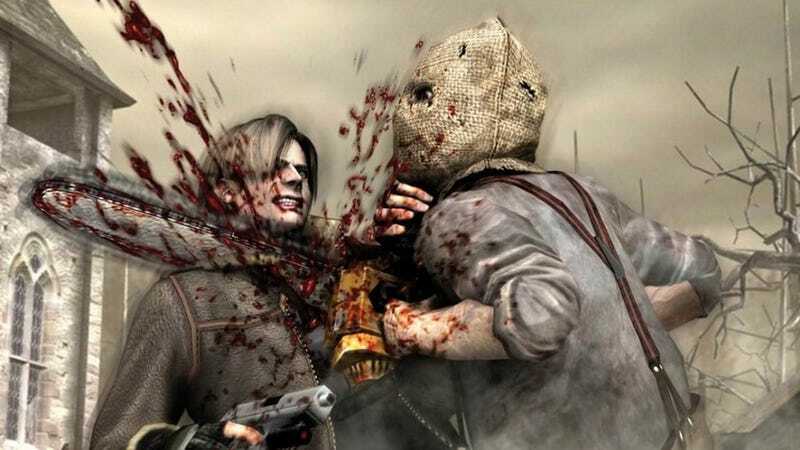 It is meant to be a return to the classic survival horror that put the franchise on the map. Capcom designed Raccoon City to be more of a departure from rather than an evolution of the franchise, he added. "We really wanted to start making this game because there hasn't been a Resident Evil game like this before," he said. "A lot of the impetus was to take Resident Evil in a new direction. We are trying to do that in a lot of ways. Raccoon City is a very new, very different kind of game focused on action. "There's a lot of room for that and a lot of desire for that." Instead of relying on scares to differentiate itself, Raccoon City looks to set itself apart by throwing players into a setting that pits them not just against the constant threat of the infected, but also a military force. Players take on the role of a member of either the Umbrella Security Service, tasked with destroying evidence of the viral outbreak, or a United States Special Operations task-force sent to gather evidence of the outbreak. The twist is that those zombies can be used as a sort of biological weapon. Not only can they still infect survivors, including you, they also are attracted to blood. "The zombies make up a corner of our triple threat action system," Kawata said. "When we started making the game we knew we were making a shooter with a lot of zombies that are relatively easy to defeat. We thought about it awhile and realized it didn't bother us. What it allows us to do was use the zombies not just as characters but as weapons, as items they have a complex existence in the game." There are two interesting ways you can use zombies in the game: You can, in a pinch, allow a zombie to bite and infect you. This gives you a short period of time in which you are essentially invisible to zombies and invulnerable to enemy fire. During this time you can wade into the enemy ranks and wreak havoc. Once your time runs out you become a zombie. That means you have to watch your character wander around in the city attacking former friends until you are killed. Once you are killed you can respawn, but you can't regain control as an uninfected player again until someone does you in. There's also the blood frenzy. Blood frenzy is triggered when someone is seriously injured and begins to bleed. To pull this off you have to injure another player or enemy to the point of near death, but not kill them outright. Doing this can trigger a feeding frenzy that pulls all of the zombies in the area to the injured enemy and his team. The game features six playable characters, each with their own skills and weapons. I had a chance to check out Spectre, meant to be the game's sniper. Played with three computer-controlled allies, I found the game to be a bit confusing. While the controls were wonderful, finally allowing me to move and shoot at the same time, the goals weren't very obvious. After spending a few minutes killing off a seemingly limitless crowd of milling zombies, I finally asked a person in the Capcom booth what I was supposed to be doing. He pointed me to a garage door I was meant to go through to continue the action. Dropped into the thick of things, the game's city setting and open world feel made deciphering my route a bit challenging. While I was able to easily pick off zombies and the opposing force as we made our way through city streets, I didn't feel the pressure to move forward in the game. Instead, every time I came to an intersection it felt like it was time to hunker down and clear the area. The only problem was that the enemies kept coming. The notion of using zombies to dispatch your enemies is a neat idea, it seems to work quite well in multiplayer, but playing on your own, surrounded by enemies and computer-controlled allies, the game's singular twist didn't seem to deliver. Speaking with Kawata prior to my time with the game, I asked him how players would be able to determine the fine line between a fatal shot and a near mortal wounding if they wanted to trigger a blood frenzy. The easiest way to spur a blood frenzy, I was told, is to damage a character quite a lot in a short amount of time. If you manage to hit a character with a grenade without killing them or pull off a non-fatal headshot, those are the easiest ways to trigger the frenzy. It is something that the developers are convinced players will get a feel for over time and once they do their shots will become more tactical. At least that's the hope. "Zombies are always around in the game," Kawata said. "You can look at any situation and try to find a way to use the zombies to complete your objective. "You can let the zombies take care of your enemies as you hide."